What on earth is a Woo Hoo? Get Wednesday 19th June 6-9pm in your diaries now! For THE night of the year! It’s the night where we get together to celebrate incredible achievements in business. It’s the third year of the “Woo Hoos” and we’ve got tons to celebrate. This year we will be holding the Woo Hoos in the stunning courtroom at The Museum and Art Gallery in St Albans! Hosted by Sue Wybrow of TBC and Popdance fame, the fantastic David Jenkins of Brilliant Theatre Arts and Pauline Quirke Academy, and the fabulous Neil Barras-Smith of Total Legacy Care. 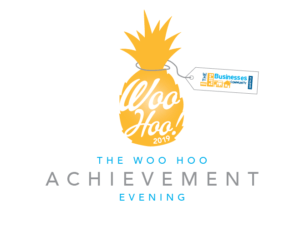 It’s a night of fun, giggles and celebrations of all things business! Use #TBCWooHoo2019 in social media prior, during and post the event! Nominations will be open on Friday 26th April. Only TBC members can nominate. But any business can be nominated! Get thinking about who you want to nominate and make sure you are poised and ready on Friday 16th April at 11am!